Lawbreakers Pre-Alpha Preview | Nerd Much? Going into Lawbreakers, I was skeptical. There are a number of other shooters coming out with their own, distinct looks. Luckily, Lawbreakers has a lot of unique gameplay built into it. Not only are there tactical abilities, but you can even use gravity itself as a tool. Boss Key’s premiere shooter takes place in the future after the moon has been destroyed in an event called “The Shattering.” This forever alters our world, introducing pockets of gravity abnormalities. People have started using gravity to their advantage, practically making them superhuman. This is how you feel playing Lawbreakers. The map we got to check out, Grandview, has a large, permanent bubble of anti-gravity in its center. Here you can’t just aim ahead and shoot, you have to think about propulsion, weightlessness, and enemies coming from literally any direction. Fundamentally, the game is a 5-v-5 competition between the Law and the Breakers. Each side has four identical classes with more currently in development. Each class feels completely unique thanks to some very smart mechanics. My personal favorite was the Assassin. Her futuristic grappling hook allows her to zip around the level with ease or pull yourself to an enemy for a devastating strike with your twin arc blades. She’s all about speed and efficiency. If you use her powers perfectly, she practically dances around the arena leaving nothing but a blood trail. The Enforcer is your general all around mercenary. His assault rifle allows you to aim down the sights. He also has a rocket launcher that allows you to lock on your opponent, making it very difficult to escape. His dash is also unique in that it creates a small field that increases the movement, firing and reload speeds of you and other team members within it. The Vanguard is fearsome with her arm-mounted Gatling gun. By pairing it with a superheated blast from her gauntlet, you can quickly destroy close-quarter enemies or propel yourself away from the danger. The Titan is the slowest of the classes, but his health allows him to really take a beating. Instead of having some sort of dash like the others, the Titan has a large leap that allowshim to crush enemies from above. You’re also equipped with a large rocket launcher and mines that slow down opponent. This devastating combo makes him especially great at defense. On a surface level, these abilities and weapons work in very obvious ways. Our first few matches were great examples of this. After some experimenting, we noticed that many abilities use the same resources. By being creative, and using them efficiently, each character became a tactical game of rock, paper, scissors. In the mode we played, Overcharge, the aim was to hold onto a central battery and carry it back to our base. Here it would begin charging slowly to 100%. Once it reaches that, the controlling team still needed to defend it for twenty seconds to earn the point. What makes this mode more unique is that the battery never loses charge. Some matches had us in control of the battery the entire time, only to lose it at 99%. This kept the match tense to the very end. It was very rare for one team to completely demolish the other. During these matches, something interesting happened. 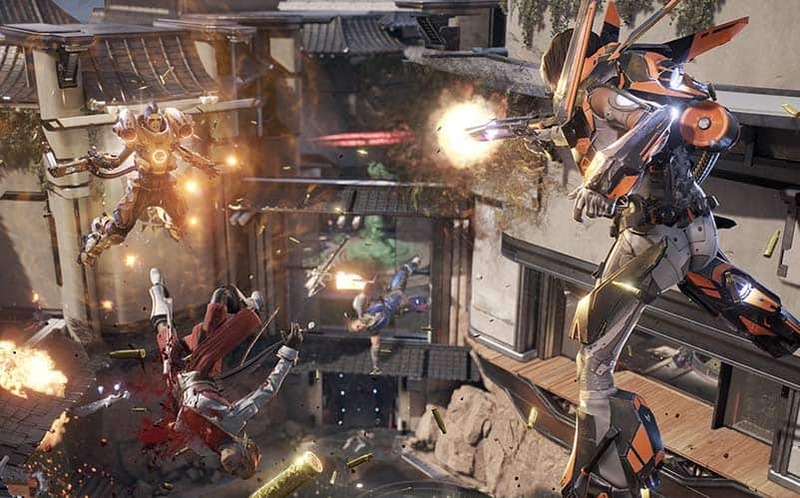 Unlike other class-based shooters, it wasn’t best to stick with your favorite class. Often times, it was best to change your class between deaths to better suit the task at hand. If you’re trying to retrieve the battery, the speed of the Assassin may be your best option. Stealing the battery from the enemy base? The balanced movement and power of the Enforcer or the Vanguard could easily do the trick. Defending? Then the bullet-absorbing Titan can help make sure that battery is going nowhere. 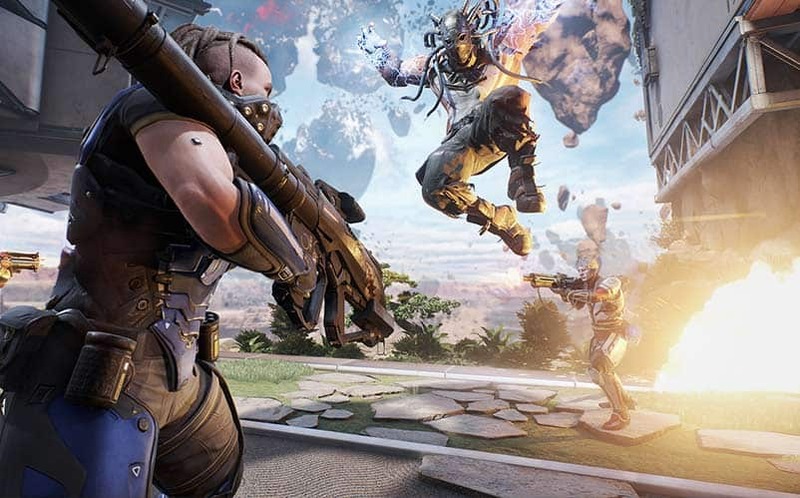 Lawbreakers is different in that it gives players the ability to control gravity. Lawbreakers is great because it gives you simple rules that become incredibly deep the more you experiment. Expect more on the game in the months ahead.